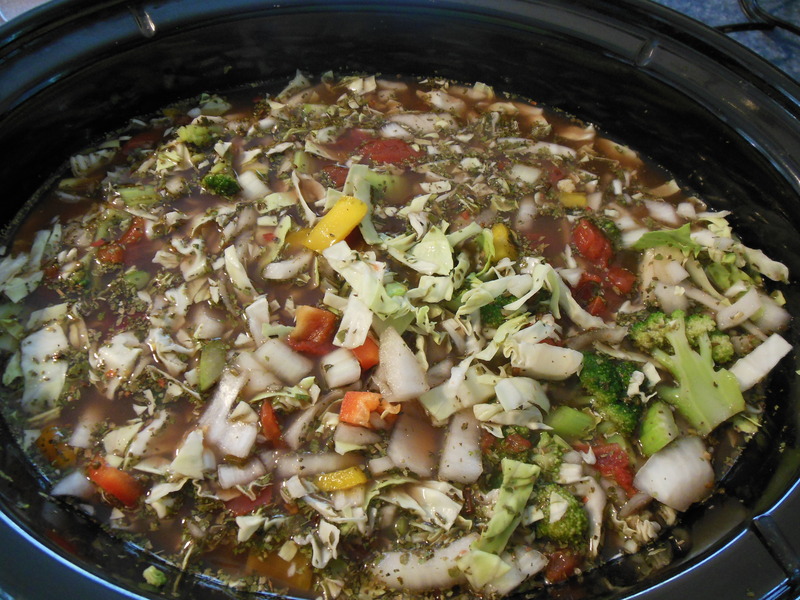 Two cooking options: Put all ingredients into your slow cooker and place on high for 4 to 5 hours OR cook on the stove-top and simmer for about 15 to 20 minutes to bring out all the flavors. Either way you are set for several days of goodness, or a lovely meal for family and or guests. Compliment with perhaps a slice of whole grain bread. Each serving is packed with no fat, healthy carbs, fiber, low sugar, protein, calcium, magnesium, selenium and potassium. Garnish with a 3 slices of fresh avocado (a healthy fat), fresh parsley or cilantro, if desired. Feel free to add 1/2 cup beans (black, garbanzo, white, kidney) or lentils per serving or serve over some quinoa, bulgur, or couscous. This a great soup base to spin-off some delicious meals.